All Industry SuperFunds are run in the best interest of members with a common goal of providing the best possible retirement outcome for members. Industry super funds do not pay sales commissions to financial planners. 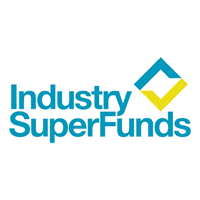 The impressive and competitive performance of industry super funds over the long term is consistently reported by superannuation industry ratings agencies. They are governed by trustee boards specifically representing employees and employers – typically these trustees are appointed by both the ACTU and/or unions and employer associations. A two-thirds majority is necessary for all decisions. CareSuper is an industry super fund for professionals run only to benefit members – not shareholders or financial planners. Its focus is always on the long-term net benefit for members. Industry Super Australia (ISA) manages collective projects on behalf of Industry Super Funds with the objective of maximising the retirement savings of five million members. All Industry Super Funds are run with a common goal of providing the best possible retirement outcome for members.